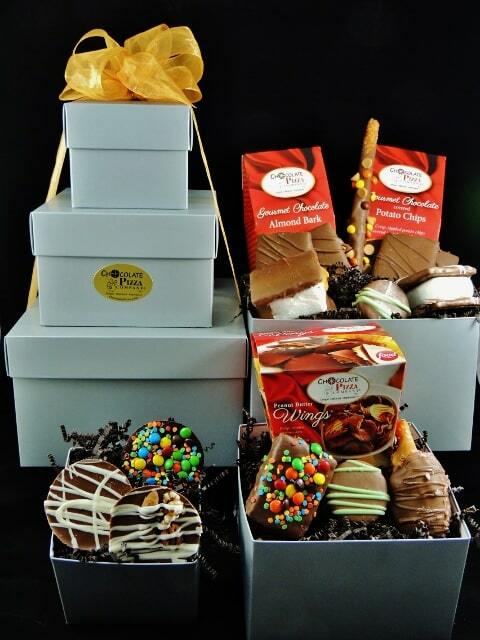 This impressive Tower of Treats is perfect for sending to an office or a big chocolate-loving crew! As first impressions go, a Tower of Treats makes a nice one. 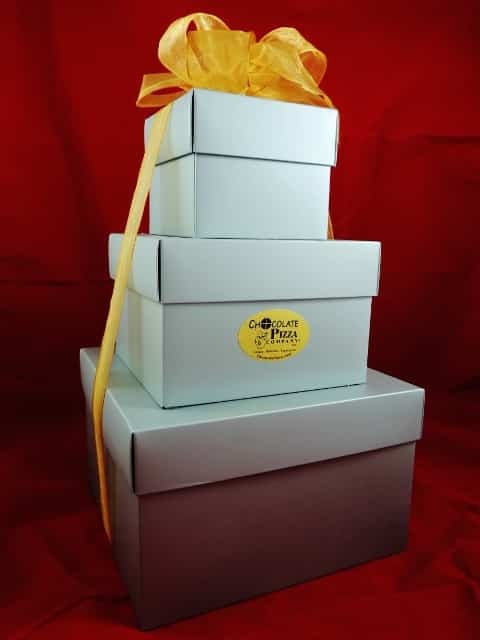 Standing 3 tiers high in our value-priced gift boxes, a Tower of Treats offers a delicious assortment of Chocolate Pizza Company favorites including famous Peanut Butter Wings (8 oz), two (2) 6 oz boxes of one of our chocolate specialties like Almond Bark or Potato Chips, Caramel and Nut Drumstick, Caramel S’more, S’more Treat, 4-pack chocolate covered Graham Crackers, Peanut Butter Sparkler, 2 chocolate covered cookies, a chocolate dipped rice crispy square and 3 mini Chocolate Pizzas. There is a chocolate treat for every taste. 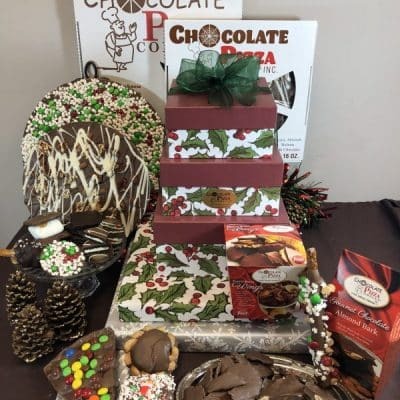 This impressive Tower of Treats is perfect for sending to an office or a big chocolate-loving crew! As first impressions go, a Tower of Treats makes a nice one. 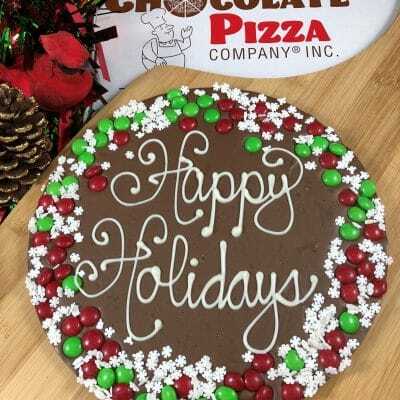 Standing 3 tiers high in our value-priced gift boxes, a Tower of Treats offers a delicious assortment of Chocolate Pizza Company favorites. 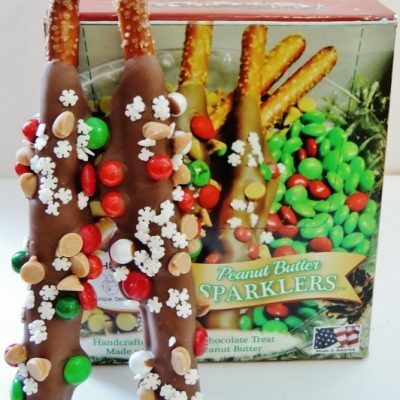 Inside the Tower of Treats, you’ll find our famous Peanut Butter Wings (8 oz), two (2) 6 oz boxes of one of our chocolate specialties like Almond Bark or Potato Chips, Caramel and Nut Drumstick, Caramel S’more, S’more Treat, 4-pack chocolate covered Graham Crackers, Peanut Butter Sparkler, 2 chocolate covered cookies, a chocolate dipped rice crispy square and 3 mini Chocolate Pizzas. There is a chocolate treat for every taste.